Tennis student-athlete, Quinn Harris, was the previous Cyclone of the week. 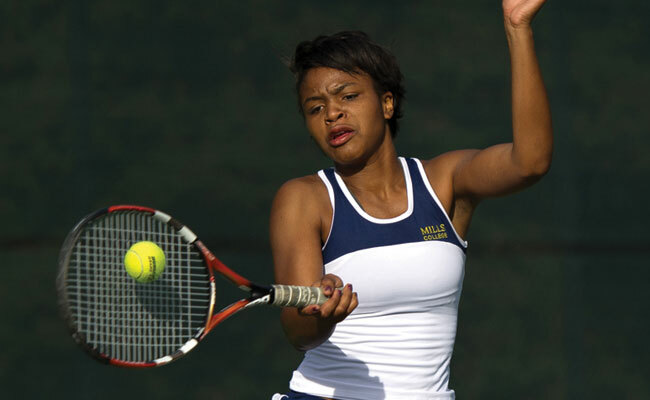 During her team’s trip to Southern California over Spring Break, Quinn focused her mental game and secured two wins in the number two singles position. Quinn, a freshwoman from North Hollywood, CA, now currently leads her team in the most personal wins this season. In the team’s final match for the week versus Occidental College, Quinn had her first opportunity to play in the number one singles position and gave her competition a tough fight.